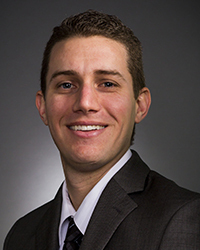 Ryan is a Certified Public Accountant with over 6 years of public accounting experience. He is currently a member of the California Society of Certified Public Accountants. Ryan's experience includes certified audits and reviews for many industries, including charter schools, motorcycle dealerships, veterinary device suppliers and manufacturers to the aerospace industry. Ryan's experience also includes general accounting, bookkeeping and personal and corporate tax. Ryan is a newlywed who enjoys spending his free time with family or on the golf course.